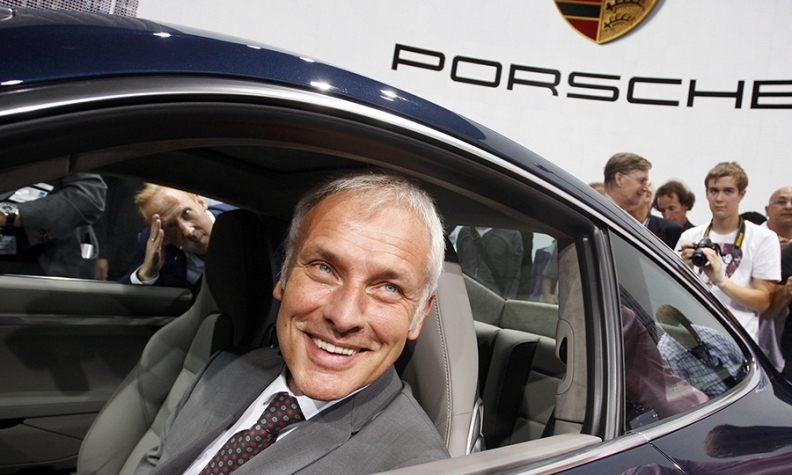 Volkswagen Group chose Matthias Mueller as its new CEO to replace Martin Winterkorn. Although Mueller will be surrounded by talented and experienced advisers I would like to share seven suggestion. The short list is below followed by a more detailed explanation. Don’t panic. This might seem obvious, but it will require a high threshold for pain as well as great composure take the inevitable beatings that will come from lawmakers, environmental groups, shareholders and the media on both sides of the Atlantic. Regardless of how extreme he expects the pressure to be, it will be even higher. Be totally transparent. This should become the automaker’s new mantra and Mueller needs to make sure this message is convey into all corners of VW Group’s vast and fractured empire. U.S. regulators notified VW about problems with its diesels in May 2014. Rather than facing the problem directly the company waited until Aug. 21 2015 to admit any wrongdoing, according to a Reuters report. Who knew what and for how long? This continues to be the top unanswered question a week after Dieselgate started. How could so many top people in Wolfsburg be unaware of the U.S. investigation for so long. VW needs to bring in an external investigator to get answers quickly and that firm needs to be provided with enough authority and enough time to get this matter settled. Fire all the bad guys, not just the engineers. VW – an engineering driven company – has to find and punish all the people on its powertrain team responsible for the cheating on emissions tests. Warburton estimates that at least 100 engineers have to go. But the new CEO also should be a vigilant about cleaning up all level of VW Group that allowed this to happen. If engineers were able to cheat on emissions for at least seven years on an estimated 11 million vehicles, VW Group’s corporate governance is broke and needs to be rebuilt from scratch. VW needs to bring in outsiders to design and implement new rock-solid guidelines. The company also should require frequent random internal checks. Scrap all volume targets. VW priority should be to rebuild its trust with consumers, regulators and all its stockholders. The fight to be the No.1 automaker by 2018, a goal that was already achieved in the first half with a marginal advantage on Toyota Motor Co. , should be shred. Do not fight for the sake of being No.1 in volume, fight to return a “people car” not only in your company name, but in what you do every day. Defend the diesel. VW’s cheating on diesel bench tests to make its engines appear greener than that they were has put the future of the powertrain at great risk all over the world. Diesels are already as risk of decline because the after-treatment technology required to meet future clear-air standards will make them too costly for most segments. Diesels, however, are crucial to reducing global CO2 emissions. Could you imagine how bad the world’s greenhouse gas problem would be if Europe’s heavy truck fleet switch from diesel to gasoline engines, which on average emit from 20 percent to 30 percent more CO2 than an equivalent diesel? Quit motorsports. Warburton’s view is that VW should abandon all motorsport activities and spend the money on plug-in hybrids and environmental research. He believes VW should stay out of Formula One. Warburton suggests that VW Group makes the Porsche EV a reality and pledges to make every Golf a plug-in hybrid by 2020. “VW can win friends and influence people in the U.S. by announcing that much of this research will be undertaken in a new research facility located in the U.S., employing U.S. engineers” he said. I totally agree.